is the perfect place for a unique, individual, fun and beautiful destination wedding by the sea. Over the past 10 years, as the quiet fishing village of Sayulita has grown into a world-class surfing and family-vacation destination, it has also become a popular destination wedding spot for Brides and Grooms – both foreign and Mexican – looking to provide their guests with a unique and rewarding vacation experience in Sayulita while framing their nuptials against the backdrop of the beautiful beaches and jungles of Mexico’s Central Pacific coast. See a directory of all things wedding in Sayulita; wedding planners, hairstylists, photographers, caterers, and more in the Sayulita Wedding Directory. To find a wedding planner to assist in making your Sayulita Destination Wedding dreams come true, visit our Sayulita Wedding Planners page. Looking for a breathtaking venue for your Sayulita Wedding Ceremony? 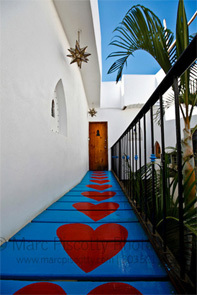 Visit our Sayulita Wedding Venues page. When you invite your guests to share in a unique, fun-filled, relaxing vacation leading up to your wedding, you are giving them the gift of a truly memorable experience of a lifetime. Families and friends come together in celebration of your love and come away with both shared memories and unique individual experiences that will last a lifetime; strengthening bonds of friendship and love during their stay in Sayulita, Mexico. On average, total wedding budgets for Sayulita weddings tend to be around half of what you would spend in the states. Many services are more economically priced compared with the US or Canada, and the smaller guest list of a destination wedding allows you the flexibility to spend more per guest while still maintaining a lower overall budget. 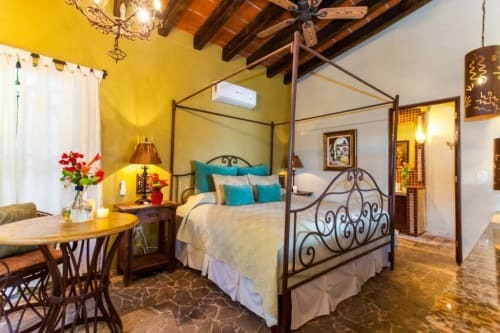 Sayulita’s many private villas and boutique hotels offer your guests a wide array of choice when selecting accommodations, further heightening the travel experience and allowing each family or group to tailor to their specific needs and budget. Visiting the different houses, pools, and neighborhoods of Sayulita, Mexico – all within easy walking distance of each other – adds to the fun of the pre-wedding festivities in Sayulita. In an increasingly global and mobile world, most weddings these days – whether held in the Bride and Groom’s home city or a destination spot – will involve air travel for a large number of guests located around the country or the world. Sayulita’s location, just 24 miles north of Puerto Vallarta’s International Airport, makes it an accessible destination from cities across the US and Canada. Opting for a wedding destination with character, that’s also slightly off-the-beaten-path, shouldn’t mean sacrificing quality services for your wedding. Sayulita’s world-class restaurants, shops, accommodations, and myriad other services will ensure your guests are well fed and well pampered during their entire stay and at all of your wedding events. From caterers with distinctive menus and beyond-the-call service, to award winning bakeries, lush flowers, talented beauty professionals and a wide range of live music and entertainment options, Sayulita’s wedding professionals work together to create unforgettable, unparalleled experiences that are unique reflections of a Bride and Groom’s tastes, interests, and personalities. 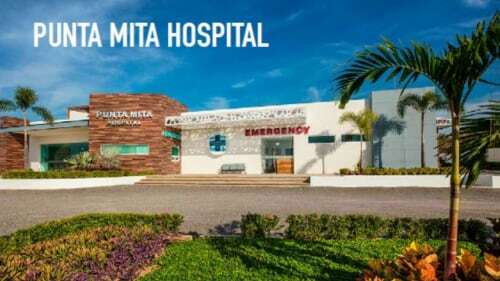 Is the Puerto Vallarta area Safe? Picture your perfect wedding day. Are you flitting among 200+ guests in a giant ballroom, trying to visit every table before dinner ends, or toasting over a torch-lit dinner in an intimate garden or rustic thatch-roofed palapa? Sayulita offers intimate, natural settings that are the perfect backdrop for your romantic, festive, elegant, or casual wedding. 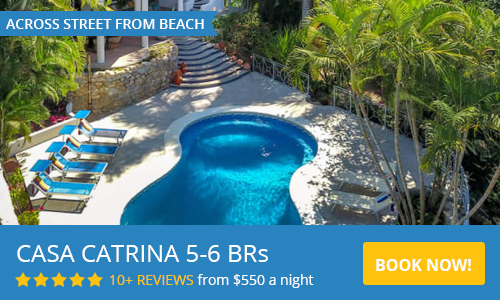 Sayulita’s small geographic area means that you don’t need a car to get around – though you may want a golf car or ATV just for the fun of it; and that all of your guests will be within easy access and even walking-distance of each other, even if they are lodging at different ends of the town. From surf lessons to ATV tours, zip lines to snorkeling, hiking, fishing, lounging, spas, shopping, and fine dining – Sayulita offers something for everyone, from the active adventurer to those that prefer to soak up the rays sipping margaritas on the Sayulita beach. If you are looking for the ideal destination for your wedding, with just the right mix of authentic small-town Mexican pueblo and world-class, accessible vacation destination, look no further than Sayulita, Mexico. You and your wedding guests will have the time of your lives and will be planning your return visits before your stay is up. Book a Sayulita Weddings Tours and Adventures for your group.